For a deep cleanse to the body, you can try a mono diet of mung bean soup for an ideal Spring cleanse. If you want to cleanse periodically, then Ayurveda consider it is most beneficial to do so at the joint between two seasons: especially when winter becomes spring and when late summer turns into autumn. 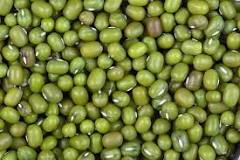 Mung beans are available from health food shops, Indian grocers and sometimes supermarkets. Try and get organic if you can and buy in bulk to reduce costs (though you will save money on this diet, as well as time normally spend preparing food!) 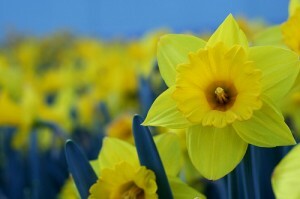 They come in whole green variety, split green or split yellow. The whole green is most nutritious and is recommended for this cleanse. For more on their nutritional benefits see this summary here. The soup recipe is highly nutritious and naturally detoxifies the body. It works by cleansing the liver, gall bladder and vascular system of any ama (undigested toxins). If you follow it for a few days you will lose weight, as well as any retained water and feel lighter, clearer and much more energised- but you need to have a little willpower initially, though it does tend to get easier day by day. As this is a powerful detoxification process, pick a time when you are not very busy, and can be less sociable if you feel like it. You can do this diet for anything from one to 7 days, or longer if desired and you are feeling the benefits. Just try it for one day if you are not sure- and carry on if it feels ok. You could try one day a week, one weekend a month or go for the full 7-10 days to really cleanse the system. Eat a bowl of this detoxifying soup for breakfast, lunch and dinner but only eat when there is genuine hunger and the previous meal has been completely digested. You will be nourished but will also burn lots of undigested matter (ama). If your regular diet includes refined sugar, caffeine, fast food, additives, flavourings, alcohol and wheat, you are likely to feel cravings for these foods during the first few days. Such cravings may also be accompanied by strong feelings of resistance towards mung. This is normal during a withdrawal from these addictive substances, so try to observe rather than react to it. Be assured that the sensations gradually subside as toxins get flushed out of your system. Some people also experience complete absence of their usual craving for sugar, because their tissues receive the nourishment they require and are ‘satisfied’. This can be a surprising and very empowering experience. However, some people do feel a little ropey, even like they are getting flu, but just keep going at this stage and you will feel brilliant after! NB: Please do not do this fast if you are pregnant, breast feeding, or suffering from a long-term chronic illness without consulting me or another Ayurvedic practitioner first. To help loosen deep seated toxins, Ayurveda recommends drinking one or two teaspoons of ghee dissolved in hot water in the early morning on an empty stomach. If you are Vata type, add a pinch of Himalayan rock salt, Pitta types should just have plain ghee, and Kapha types a pinch of ginger. This will help the process but you can also do the diet without this- its so simple. Make up a fresh batch for each day, re heating only as much as you need for each meal so the meal is as full of prana (energy) as possible. For work and eating out, I find a food thermos works very well if you don’t have a kitchen at work. Buy a large one and you can even fit 3 meals in it for busy days. Try not to use a microwave- click for an earlier post on microwaves. If you feel like a little variety, you can also add green leafy vegetables (spinach, chard, kale), pumpkin or courgettes to the mung soup, or make a completely vegetable soup and have this for one of the meals per day. Drink warm water and lots of herbal teas, fresh ginger tea with a squeeze of lemon, and rest and relax as much as you can. The simple fasting tea below is also very helpful during this cleanse. If you are feeling weak or very hungry you can eat a little brown or white rice with the soup (well cooked) at lunch time, or even an emergency rice cake if you are on the go. If you are close to breaking the cleanse and need something sweet, have a spoonful of raw honey and enjoy! Wash the mung beans thoroughly and soak over night or for at least four hours. Add them to a pan with the water with the water and turmeric and simmer gently until soft (around 30-40 minutes), adding more water if needed. Once cooked, heat the ghee or coconut oil in a small frying pan and fry the cumin seeds, hing and ginger until aromatic. Add the remaining spices and heat for 20 seconds or so and then stir them into the soup. Now add salt to taste (don’t add salt in the beginning, as this makes the beans tougher and they therefore take longer to cook!) Serve warm with a good squeeze of lemon juice, and some fresh coriander leaves, finely chopped and stirred into the soup. If you feel like a little variety, you can also add green leafy vegetables (chard, kale, spinach etc), courgettes, grated carrots or pumpkin. Get creative according to what is in season. I also like to blend the soup for a better consistency and flavour. For variety, you can also gentle fry some onions and garlic to add a little sweetness to the soup and change the taste if you are doing a longer cleanse. Mix everything and gently heat in a pan. Remove from the heat just before it boils and leave to steep for a further 10 minutes. Filter and drink or keep warm in a flask to consume throughout the day. Some people experience constipation during the programme. If this occurs, take 1-2 tsp. of the Ayurvedic formula Triphala powder at night before bed with warm water. Once you have daily bowel movements again, reduce the dosage gradually and then stop. Be careful what you eat after your detox is over, keeping food light and nourishing as overloading the system too soon will case more toxins to form. Kitchari (recipe below) is ideal for the first day or two after as it is so light to digest. Whilst digestion returns to normal, avoid heavy foods (meat, fish, eggs, white sugar, bananas, bread, cakes, biscuits). Favour light, easy to digest, lightly cooked food that is assimilated into the body- soups, stews, casseroles, risottos and one pot meals cooked with love are all ideal now. An Ayurvedic diet is according to principals not hard and fast rules- get creative! Eat your food with a respect for nature, giving thanks in a way that is meaningful to you. 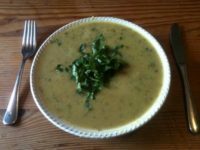 This is ideal to eat for a day after your mung bean soup cleanse as its a key recipe for Ayurvedic nutritional healing, especially in illness or detoxing. If the mung bean cleanse feels too much, you can also just eat kitchari for a period of 1 to 10 days to give your digestion a break. Its good for all doshas. fresh lemon juice and chopped coriander leaves to serve. Wash rice and dhal separately in at least 2 changes of water. Sauté mustard seeds in ghee till they pop, then add other spices, starting with the seeds and the powders. Add mung dhal and rice and sauté for 2 minutes. Add boiling water, bring to boil and simmer for 30 minutes. Prepare vegetables that suit your constitution by cutting into small pieces. Add vegetables, salt and extra water if required and simmer for another 20 minutes or until fully cooked. Aim to have minimal water remaining. Try an Ayurvedic self massage every morning or book in for one with me! Use an oil appropriate for your skin type, followed by a hot shower will aid in eliminating toxins from the body. Try dry skin brushing before the massage for extra effect. Use a neti pot and tongue scraper daily to help clear toxins (ama and try and follow some other aspects of the Ayurvedic daily routine. Turn your home into a spa! Treat your skin with some home made skin products … Get creative. Focus on quiet reading, gardening, being creative, listening to soothing music, and relaxing! Try and avoid television and excessive external stimulus. Use the extra time for yoga, pranayama and meditation. Now is an ideal time to do some nourishing Yoga Nidra. Spend some time in nature- a brisk walk is ideal- and generally make sure you get enough rest as you will feel tired with the detox.